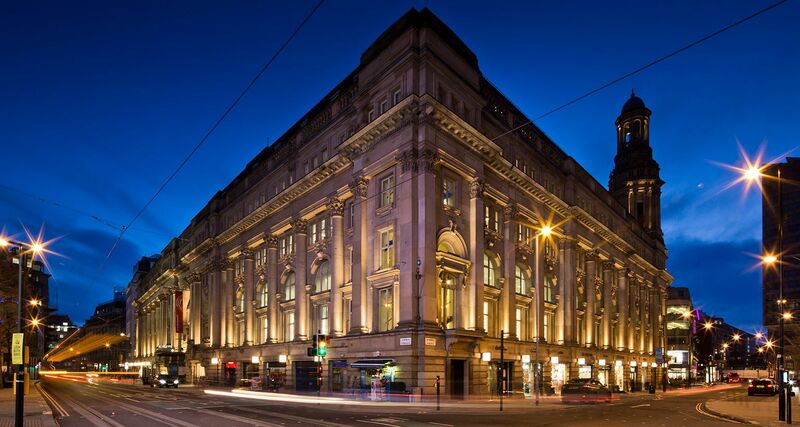 The historic Royal Exchange building is set within Manchester’s bustling retail heart, in close proximity to iconic stores including Selfridges and Harvey Nichols. Plenty of time to explore? There are all sorts of cultural attractions nearby, as well as an eclectic mix of restaurants, cosy cafés and chic bars. Every store is different, so we recommend that you check the opening hours of individual stores on our stores page. Although, if you visit between 9.00am and 6.00pm, Monday – Saturday (some stores are closed on Sundays), there will be plenty to see and do. The first Exchange on this site was built in 1809. The Exchange was a commodities exchange, trading primarily in cotton and textiles. After a visit in 1851, Queen Victoria granted the Exchange the title the Manchester Royal Exchange. As the cotton trade grew, larger premises were required. 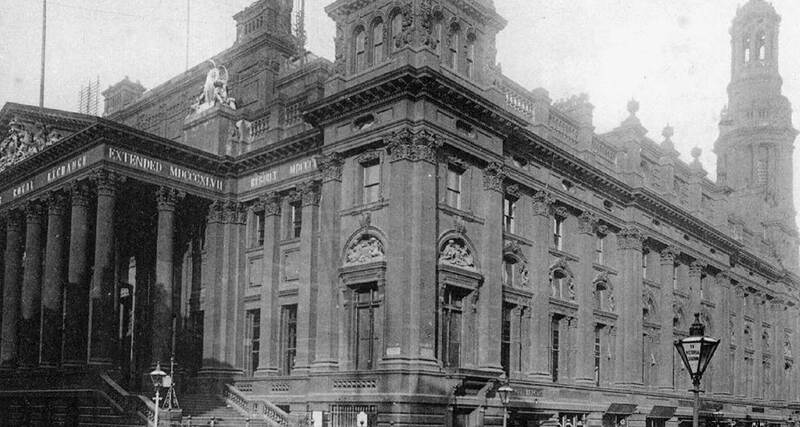 The original Royal Exchange was demolished and the current building constructed between 1867 and 1874. At its peak the Exchange had a membership of up to 11,000 cotton merchants who met every Tuesday and Friday to trade their wares. Manchester’s cotton dealers and manufacturers trading from the Royal Exchange earned the city the name Cottonopolis. Opened in 1921, The Royal Exchange is a Grade II listed building near St. Ann's Square in Manchester. Most of the Royal Exchange building that you see today was built by Mills and Murgatroyd, between 1867 and 1874. In 1914, Bradshaw, Gass and Hope began modification on the building. Bradshaw, Gass and Hope gave the building the marvellous Edwardian exterior you see today, and in 1921 the building was officially opened. The Great Hall was once even greater – in fact, it was twice the size, and known as the ‘largest room in the world’. Until the Second World War, when the building took a devastating hit during the Manchester Blitz in 1940, this immense space was one of the world’s centres for cotton. Reduced in size, the Hall was repaired and trade continued until 1968. To this day, if you look up, you can still see the original trading board with the day’s closing figures. Having been threatened with demolition, things started looking up for the Royal Exchange building when a theatre company took up residence in 1973. In 1976, under five artistic directors – Braham Murray, Casper Wrede, Michael Elliott, Richard Negri and James Maxwell, and soon joined by Greg Hersov – the Royal Exchange Theatre Company opened its doors to the imaginations of theatre makers in this country and beyond. The Second World War was unfortunately not the last time the building would be bombed. In 1996, an IRA bomb exploded just fifty metres away from the Royal Exchange building. 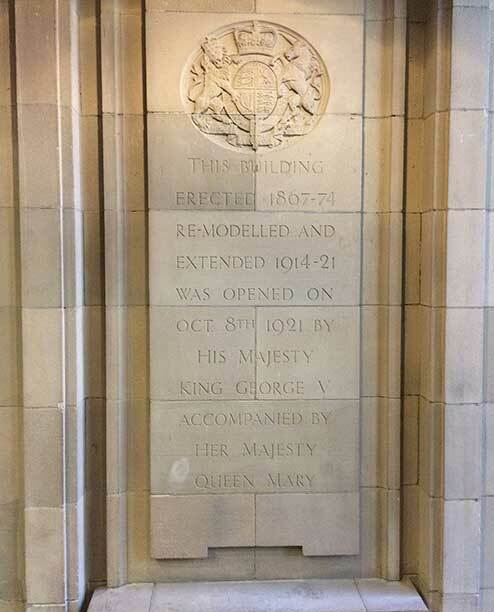 This explosion had a devastating effect on the building, and it took a lot of time and money to repair before it was reopened by Prince Edward in 1998. Housed within the historic Great Hall building, the Royal Exchange Theatre has welcomed some of the greatest names in British film, theatre and television, including Helen Mirren, Kate Winslet and Hugh Grant. The contemporary, 360⁰ performance space is the largest of its kind in the country, seating up to 750 people, but with no seat further than 9 metres away from the stage. The seven-sided glass and steel structure was designed to create a vivid, immediate and intimate experience for the audience, so whatever the show, expect a spectacularly immersive experience in this iconic city venue.